A while back, I had an art table at the LA Zoo's Comic Jungle. Among other things, I helped designed the logo and created a number of zoo animal superhero characters who never made it in the public light. The LA Zoo was nice enough to give back my drawings that I gave them. I am grateful for this since I didn't even scan my pictures before I gave them away. Now I have a chance to show them off! 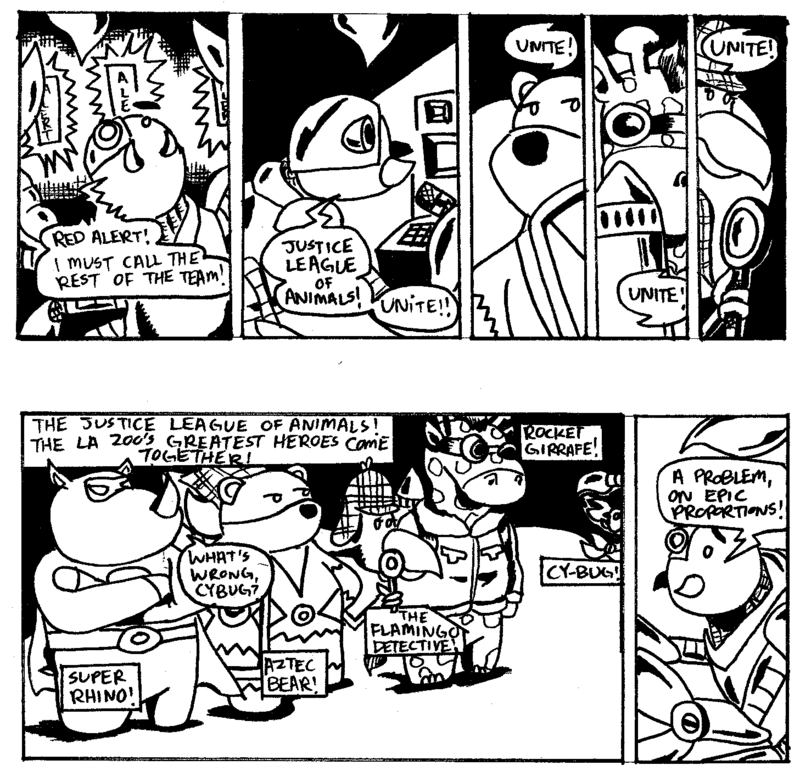 The LA Zoo wanted me to do a comic strip series starring the animal superheroes that I created. However, the idea was scraped and my strips were used as a background for the LA Zoo's Facebook cover page. I wrote and drew a couple of strips, so here are the first strips in their full glory.